Breastfeeding is one of the best gifts that a new mother can give to her newborn baby. Breast milk is highly nutritious for babies, with an optimal balance of fat, sugar, water and protein. All these nutrients are essential for a baby’s physical and mental development. Breastfeeding also reduces a baby’s risk of developing asthma or allergies, respiratory illnesses and frequent ear infections. It even helps develop a physical and emotional bond between the mother and baby. Nursing mothers benefit, too. Many experience less blood loss following delivery, better uterus shrinkage, weight loss and less postpartum depression. It also reduces the risk of breast cancer, cardiovascular disease and rheumatoid arthritis. The World Health Organization (WHO) supports breastfeeding until the baby reaches 6 months of age because of all the benefits. Breast milk changes in volume and composition according to the time of day, frequency of nursing and the age of the baby, so it is important for nursing mothers to take special care with their diet. Traditionaly, people use warm compresses, barley water, milk, fennel tea, cumin seed tea as well as garlic to boost milk production. Also, there are certain galactagogue or lactogenic foods, which help increase the supply of breast milk as well as its quality. 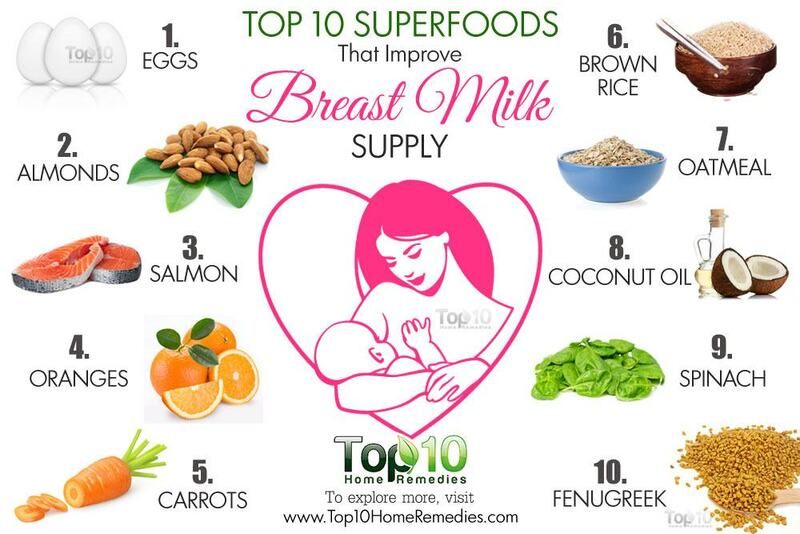 Here are the top 10 help improve breast milk supply. Oatmeal can also help nursing mothers increase the quantity as well as quality of their breast milk. It stimulates the production of oxytocin, a hormone that helps with the birthing process, bonding with the baby and milk production. It also helps prevent iron-deficiency anemia, which is common in new moms. A warm bowl of oatmeal also serves as a comfort food for many women who suffer from stress and depression after childbirth. This natural whole-grain, high-fiber food is easy to prepare and easily digested. Quick oats and steel-cut oats are healthy choices, but avoid prepackaged instant oatmeal, which usually contains extra salt and sugar. Top your cooked oatmeal with a spoonful of raw honey, cardamom, chopped nuts, berries or saffron to enhance the taste as well as nutritional profile. You can even enjoy oatmeal biscuits or cookies. Almonds and other nuts, such as walnuts and cashews, are super healthy for nursing mothers. Almonds are packed with protein, fiber, vitamins, minerals and antioxidants that are important for the overall health of the mother as well as her newborn baby. They are also a good non-dairy source of calcium. In addition, the monounsaturated fats in almonds increase the richness of breast milk. They even make a healthy snack to help you stay satisfied between meals. Enjoy 5 or 6 soaked almonds daily, but avoid roasted and salted varieties. Note: Do not eat almonds if you have a history of nut allergies. Extra-virgin coconut oil is also considered healthy for both pregnant and nursing mothers. It contains essential fatty acids such as omega-3 fatty acids that aid the production of hormones responsible for breast milk production. In fact, these essential fatty acids help in producing fattier and more nutritious breast milk. Plus, coconut oil has immune-boosting properties and can provide the new mother the much needed energy required to take care of the baby. Breastfeeding mothers should aim to eat 1 to 3 tablespoons of coconut oil a day. You can also use it to make salad dressings and dips. The high vitamin C content of oranges is important for breast milk supply. 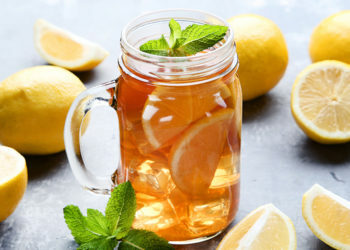 A 2002 study published in the Food and Nutrition Bulletin notes that the vitamin C content of breast milk is significantly correlated with the mother’s intake of vitamin C.
The study highlights the need to increase the consumption of vegetables and fruits rich in vitamin C.
Oranges are also packed with other nutrients, such as vitamins A and B, calcium, magnesium, potassium and phosphorus. It is great for strengthening the immune system and recovering from weight gain due to pregnancy. While nursing, drink about 2 glasses of orange juice daily. For better output, try calcium-fortified orange juice. Along with orange juice, opt for water, soup and skim milk to keep your body hydrated. Note: Avoid drinking too much orange juice, as the citric acid can make your baby fussy or gassy. Fenugreek, both the seeds and leaves, works as an excellent galactagogue to stimulate breast milk secretion. The choline in it ensures proper development of newborn babies. Plus, this herb contains a generous amount of iron, fiber, calcium, and various vitamins and minerals. It even helps alleviate common post-delivery problems, such as flatulence and body aches. Drink a cup of fenugreek tea daily. To make the tea, soak 1 tablespoon of the seeds in a cup of water overnight and boil the solution in the morning. You can also add a little fenugreek seed powder to your soups or smoothies, as well as add fresh and tender fenugreek leaves to your soups, stews or salads. Note: Do not consume fenugreek if you are diabetic or suffer from peanut allergies. It is also not recommended during pregnancy. This tasty and versatile food is great for nursing mothers. Eggs are rich in protein, lutein, vitamins B12 and D, riboflavin, folate and choline. A 2013 study published in the American Journal of Psychiatry notes that increasing intake of choline during pregnancy and breastfeeding may protect infants from future illness by promoting normal brain development. Earlier, a 2009 study published in Nutrition Review found that mean choline intake for older children, men, women and pregnant women are far below the adequate intake level established by the Institute of Medicine. Egg yolks are one of the few foods rich in vitamin D, which is important for newborn babies. The good quality protein in eggs has a perfect balance of all the essential eight amino acids. Include a couple of eggs in your diet daily. You can prepare them in a variety of ways, including scrambled, hard boiled or in an omelet or egg salad. Fish, especially salmon, should be included in the diet of pregnant as well as nursing mothers. Salmon is an excellent source of protein and DHA, a type of omega-3 fatty acid that is important to the development of a baby’s nervous system. Salmon also contains vitamin D, of which many women are deficient. According to a 2012 study published in the Journal of Nutrition, consumption of salmon during pregnancy results in significantly improved quality of breast milk during early lactation. Eating 2 portions of salmon per week during pregnancy improves the supply of important fatty acids to newborns. Interestingly, a 2014 study published in Behavioural Brain Research highlights the antidepressant-like effects of omega-3 fatty acids in postpartum-induced rats. It helps reduce the levels of corticosterone and pro-inflammatory cytokines, which were observed to be increased in these rats. 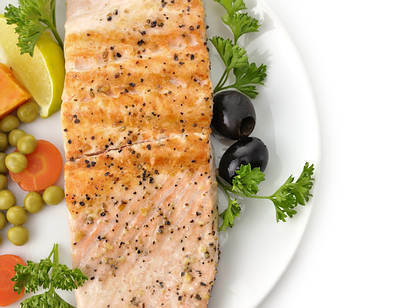 Enjoy 2 servings of salmon per week, either baked or grilled. Opt for wild salmon as opposed to farm raised, which may be high in mercury. During pregnancy and through the breastfeeding period, women should reach for vitamin A-rich foods like carrots. Vitamin A aids in the healthy development of the fetus and the newborn, with lung development and maturation being particularly important. A 2001 study published in the Journal of Nutrition notes that supplementing lactating women with puréed papaya and grated carrots helps improve vitamin A level. This study reinforces the importance of plant-based foods to prevent vitamin A deficiency. Another 2007 study published in the European Journal of Nutrition highlights the importance of beta-carotene as a source of vitamin A with special regard to pregnant and breastfeeding women. Plus, carrots contain alpha- and beta-carotene, which are believed to promote breast tissue health and lactation. 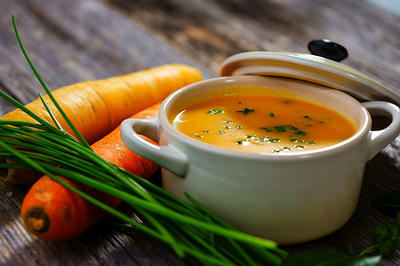 Include carrots in your salads or soups, or start your day with a glass of fresh carrot juice. In addition, a poultice of raw carrots applied to the breast can treat uncomplicated breast engorgement during breastfeeding. Spinach as well as other leafy green vegetables, such as kale, Swiss chard, collards and broccoli, are a must for nursing mothers. The vitamin A in spinach ensures the healthy development of your baby, while its antioxidants boost your baby’s immunity. It even makes a great non-dairy source of calcium for vegan mothers. This leafy vegetable also contains folate, which helps prevent various birth defects when consumed during pregnancy. Plus, spinach is highly beneficial for women who experienced lots of blood loss during delivery and those recovering from C-sections. It is recommended that nursing mothers eat cooked spinach, rather than eating it raw in salads or sandwiches. 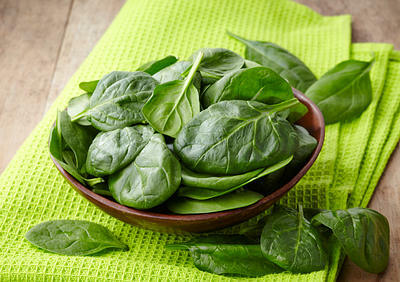 To prepare the spinach, simply blanch it in boiling water. Another superfood that can boost milk production of nursing mothers is brown rice. 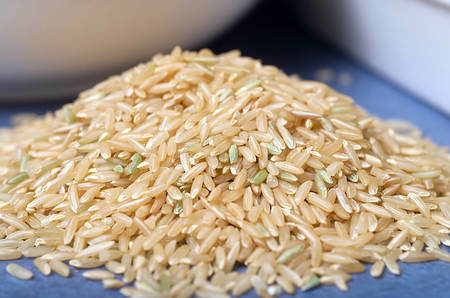 Brown rice is far better than white rice due to its high fiber and nutrient content. Being rich in complex carbohydrates, brown rice helps keep you feeling full longer and maintain a consistent blood sugar level. In addition, it provides necessary calories to your body to produce the best quality breast milk to support your baby’s growth and development in the initial stage. A 2007 study published in the European Journal of Nutrition notes that regular intake of pre-germinated brown rice has beneficial effects on psychosomatic health. It can help enhance maternal mental health and immunity during lactation. One cup of cooked brown rice for lunch or dinner is fine. However, make sure to soak the grains in water for a few hours before cooking. This will make the rice easier to cook. Herbal remedies are the best way. I was low on breast milk and got it stimulated through an herbal tea formula healthy nursing tea. This is an organic and preservative-free without sugar and caffeine.